The Stoney Rises of Western Victoria were the site of a prolonged resistance by Colignon, Jarcourt, Keeraywurrong and Wathaurong warriors. Men like Kaarwirn Kuunawarn and Curacoin mounted attacks from the Rises because the horses of soldiers and vigilantes were so severely restricted in the terrain. The clans drove sheep from the squatters’ runs and coralled them in the grassy dells among the tumbled volcanic stones. Evidence of the prolonged nature of the conflict can be seen in the fortifications and gun embrasures of some old buildings in the Pirron Yallock area. During the volcanic era, long before European invasion, the Curdie River was cut in half by lava flows thus creating Lake Corangamite. The lake takes its name from the Colijon word koraiyn, meaning bitter or salty. These people, the people around the Colac lakes, also used the word koraiyn for the white man’s alcohol. Bitter. 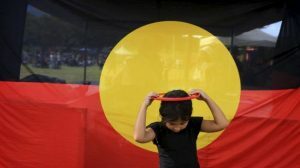 It’s a curiosity that despite the antipathy white squatters held for the Aboriginal people and the contempt with which they regarded the indigenous culture they often chose to preserve local Aboriginal names for the properties they stole from those very same people. Drive through this area and you pass Pirron Yallock, Colac, Elliminyt, Warrion, Beeac, Irrewarra, Birregurra, Geelong, Werribee, Purrumbeet, Warrnambool, Ballarat, thousands of them, you see property names, Mone Meet, Buninyong, Kardinia, Gerangamete, Lal Lal, Karngun, Moodmere, Pyalong, Murdeduke, Tarndwoorncoort, Trawalla, Yan Yan Gurt, Wooloomanatta, there seems to be a compulsion to remember the original name even while trying to forget how the property came under white ownership. It’s peculiar, eerie, to have the names but almost none of the people. I took several journeys to Lake Corangamite in March 2003, accompanied in the first place by John Clark, a Keeraywurrong man and National Parks officer, but on other occasions to inspect indigenous house foundations and fish traps. Later I compiled a list of remaining place and property names derived from the indigenous languages. The geography of the area is distinctive and relatively untouched as access is still made difficult by the maze of piled stone. The rural fences in this area are constructed of the lavastone but in many cases the stones have been taken from earlier structures, the houses of the Colignon people. It is a very peculiar feeling to see such direct evidence of the conflict between the two civilizations. And yet my journeys there have always been accompanied by great civility and kindness. My final visit is a good example of the conflicting tendencies of our soul. The Purrumbete road dips and bounds through the slumps and slees of the volcanic jumble. In the dells there might be swatches of emerald grass, on the tumbled mounds eucalypts muscle their way into the rock, probing with fine fingers for the fault where they might look to steal their living. And apple trees, all the juicier for having been discovered wild. It’s great to be Australian. No-one is hungry enough to strip any fruit tree bare, always something for the traveler. A divine day, delicious fruit, sun, and yet there is a bleakness about my search that no bounty, no surface egalitarianism seems to shift. Everyone I meet on this day is generous, warm, humorous, wry, good honest country Australians, and yet I approach my task with foreboding. There’s a house on the highway near Pirron Yallock made of local stone. Over twenty years I’ve tried to get permission to have a look at it. It’s a striking house. Gun embrasures let into the walls. I ask members of local history organisations. They know nothing about it, seem vague about whether they’ve seen it or not. Argue that the slots might have been to ventilate the Cobb and Co horses that used to stable there but can’t explain why it is called a fort. The Information Centre seem emphatic that no house in the district would ever have slots in the wall, no, no, not in this town. I ask about the slots in the wall and her face falls a little and she lowers her voice and becomes confidential. It’s an old house, she says, the settlers had a lot of fights with the Aborigines, they used to shoot at them through those slots. She falls silent and brings her hands together and stares at me, seeming to wonder if I appreciate the horror. She’s a good person. In her world people should not shoot at other people. I take my photos at the back of her house, the garden plump with ripe fruit, a fecund cornucopia, but a fecundity once contemporaneous with the embrasure and carbine. In amongst the Stoney Rises I get lost of course, I do it almost deliberately. I love being lost, the opportunities it provides, and of course I’m approached on one of these apple laden lanes by a farmer on a motor bike and the irony is on his face even before I wind down the window. He knows I’m lost and he knows I don’t care. He’s got sheep like that, used to correcting their errant little cloven hoofs. And because I’m in this lonely, seldom traveled part, his country, he treats me like a friend, a brother, and even when I ask about the fish traps in the lake his face clouds only a little and he directs me faithfully to the correct road. Good bloke, good decent Australian. I turn in to a farm lane and approach a tiny house and can’t help noticing how bone grey and flaky the fibro sheets of its construction. At the back door I peer through the glass and see all the strewn boots, five different sizes, the baby’s cot jammed against the window of a side room, the blatant poverty. He comes out, the farmer, and hears my request to photograph the lake and seems to guess immediately what I’m after, a grim line momentarily forming on his lips, but he shows me how to approach the shore, down along the fence line, through the gate, no worries. He is kind in the way of really hard up people, but at the back of his eye there’s a look of shock that someone should have enough time to take photos in the middle of the day. I don’t know how he came by this farm but I can see the work ahead of him in every rotten post, every gate clinging to its hinge with nothing but the pride of being a gate. But this bloke doesn’t hate me, goes out of his way to ensure I get where he knows I need to go but when he sits down to his dinner tonight, conscious of another three hours work ahead, he’d be inhuman if he wasn’t just a little resentful. But my concern for him soon evaporates. I can see the fish traps striding out over the shallow salty lake and I look about, trying to imagine where a fisherman might have his house, and, yes, there it is, no, there they are, on the rise from which you’d be able to see the fish coming along the concourse of stones first built by grandfathers in a time so distant that their names are synonymous with creation. The walls are tumbled down now, you can see the shiny spots on stones where cattle have rubbed, the roof beams and thatch burned long ago, but they’re there, thirty, forty, fifty, many houses and this is just the fishing camp, how many must have lived in the Rises, those Colignon, Jarcoort, Kearaywoorong, on days like this when the sun rests on your back like a lazy cat and the pelicans glide across the water, sleepy and mesmerised by their own reflections? I can see the fish come, the giggles of children, smoke spiralling in coiling towers, the dogs dozing with their feet on their paws and I am sorry for the beleaguered farmer but I am devastated for these people, that such beauty and peace should have been stolen, that such easy bounty should have been replaced by a grinding labour of devastating grimness. That the namers of the country were treated with such contempt. I sorrow for farmer and fisherman alike but oh, how it hurts to see such waste of that generous civilization. It hurts to say we Australians allowed it then and accept it today, that so few people can bear to ask how the country got its name because the answer involves telling a story Australia refuses to believe. It’s not about saying sorry, it’s not about accounting for the slain, it’s about recognising how today’s Australians came by their country, and that means respecting the history of the invasion and honouring those who named this great land and still live here. 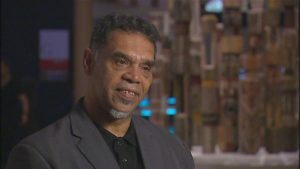 After all, in some districts, Aboriginal names form more than 90% of all names and in most districts rarely less than 50%. Australia can’t continue to ignore its placenames heritage because those names define us all.